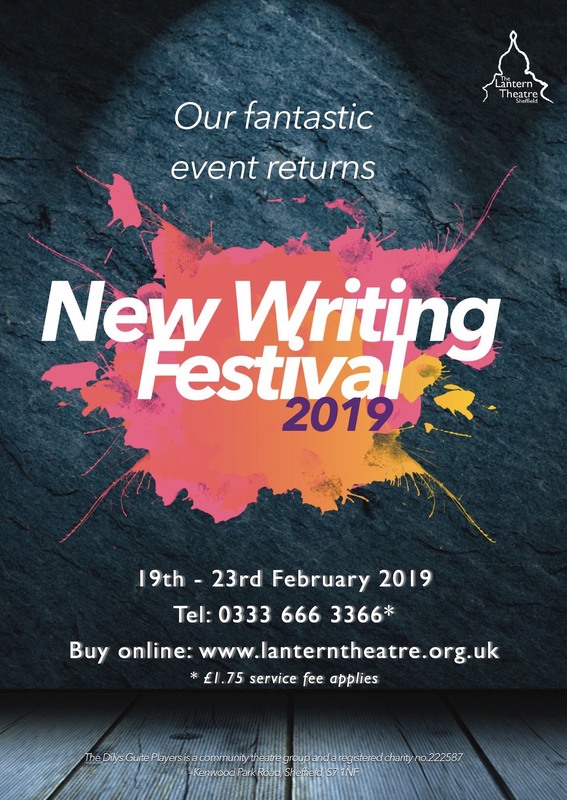 After taking 2018 off, the New Writing Festival returns to the Lantern stage. This February the festival contains some brilliant short pieces selected by a group of DGP members and includes Bag For Life (Steve Eddison), Betrayal (James A. Simms), Blind Spot (Paul Black), Cafe Ha Ha (Julia Spencer), Coming In (Michelle Kelly), The Day In-Between (Tim Baron), Dry Roast In The Kopperberg (Nick Tait), It’s Nothing (Hannah Pamplin), Last Call (Owen Jones), Quantum Entanglement (Nick Tait and Berkley Mcquaid), The Sylvia Swing (Melanie Hopkins), The Amazon Basin (Matt Medlock) and Tick Box (Mike Rouse). It’s set to be a wonderful mix of drama and comedy that’s not to be missed. So come along and enjoy some completely new, original theatre. We hope to see you in the audience!